TS Optics 2x achromatic Barlow Lens: The TS Optics 2x Barlow Lens that doubles the magnification. 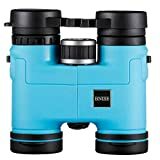 It is simply inserted between the telescope’s focuser and the eyepiece. – light blue:… Boosts the contrast inside the cloud bands of Jupiter. Also for Venus! – green:…Boosts the Great Red Spot on Jupiter, white spots inside Saturns atmosphere. USCAMEL has been the industry leader in high-performance sports optics for more than 10 years. 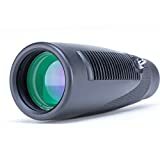 The company’s guiding principle is to provide the highest quality, most reliable, and most affordable sports optics products and most excellent customer service on the market. USCAMEL product lines enhance the enjoyment of every outdoor pursuit, including nature study, hunting, fishing, birding, and stargazing. Indoors, the company’s monoculars / binoculars bring the audience closer to the action in fast-moving sports or the fine arts at theaters and concerts.